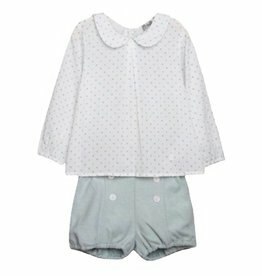 Boys blue and ivory two piece shorts set by Dadati. The shirt is made in light cotton with a band collar and front buttons. The lined shorts are made in a tweed pattern with attached braces, scalloped waist and side button fastening. 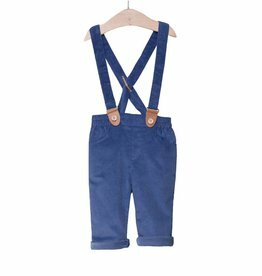 Super soft navy blue corduroy trousers by Fina Ejerique, with detachable braces that have a brown leather button up end, front pockets and elasticated waist for a great fit. 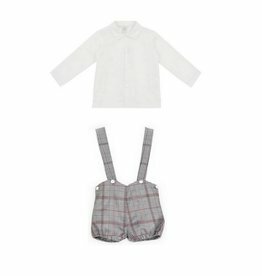 Gorgeous Navy gingham set by Minhon. 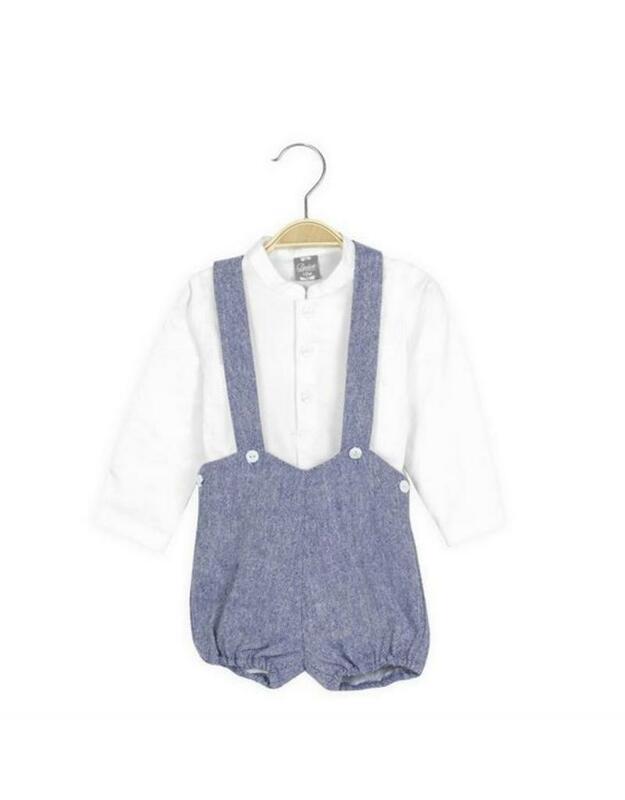 The body has navy scalloped edging to the peter pan collar and cuffs, popper fastening to back and between the legs. The shorts have detachable braces and elasticated legs. Younger boys set by Dadati. 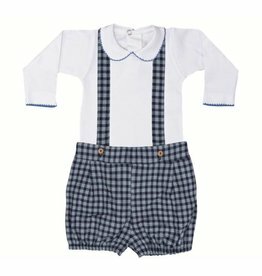 The shorts are grey with red, white and black checks, they have attached braces, scalloped waist and wooden side button fastening. The shirt is made in a light cotton with a classic collar and front concealed buttons.